Learn how copyright law applies to origami. If you are teaching origami, it's important to understand the intellectual property of paper folders. Why Is Copyright Law Important? Although most people who practice origami do so as a hobby, some people have made origami their full-time job. For example, Nick Robinson is an origami professional who makes his living illustrating books, creating origami designs, and working on commercial origami projects. When you break copyright laws, you're taking away the earning potential of people who depend upon their paper folding skills to support themselves and their families. The most popular origami models are traditional models. Traditional origami models have no known creator. They are in the public domain. This means that they can be freely copied. You can put together a book of traditional origami models to sell or sell the models themselves. Gilad's Origami Page has a long list of diagrams for traditional origami models. If you're not sure whether a model is a traditional model, then checking this list might help. Models that are not in the public domain belong to the person who created the design. If you wanted to include these designs in an origami book or fold them to sell to others, you would need to obtain permission from the copyright holder. On an origami website, you can normally find an email in the "Contact Us" section that you can use to obtain permission from the copyright holder. If you wanted to use any of these designs in a commercial project, you would need to email origami@aboutguide.com to obtain permission. Keep in mind that many origami artists are very generous people who love sharing their passion for paper folding with others. If you are a fan of someone's work and contact them to ask for permission to use design, the artist might allow you to use the design for free or for a very small fee. In the case of instructions obtained through an origami website, many webmasters will allow you to use their designs as long as you properly credit the website and provide a link to their work. Copyright law is also affected by the idea of private vs. commercial use. 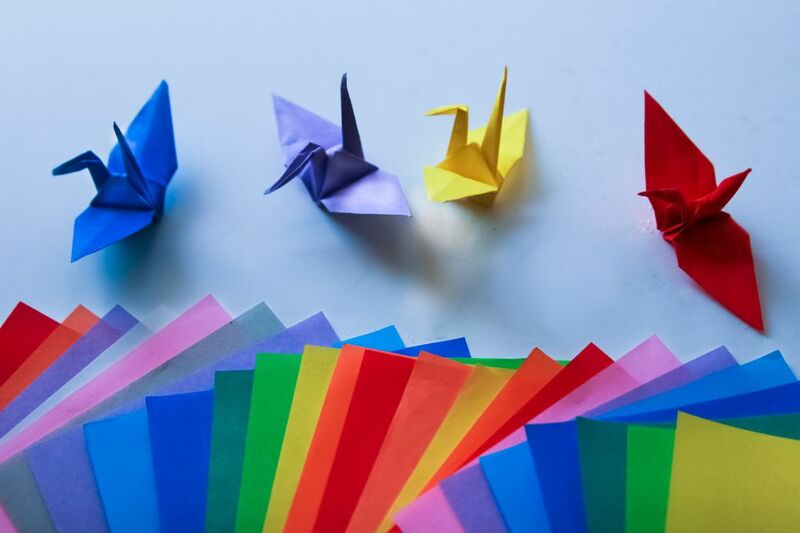 If you buy a book of origami instructions or learn how to make a model from a free website, such as About Origami, you are allowed to fold as many copies of each figure as you wish for your private use. For example, you could make a collection of origami flowers for your home and a bouquet to give to a friend. Commercial use refers to activities that are intended to generate a profit, such as selling a book of origami instructions or selling origami models at a craft show. Commercial use is where most copyright problems occur. You can't make money off someone's intellectual property without their permission. Fair use is an exception to standard copyright laws. Fair use means the use of copyrighted material for research, teaching, criticism, comment, news reporting, or scholarship. For example, a public school teacher who uses portions of an origami diagram to demonstrate symmetry in a geometry lesson would likely fall under the fair use provisions of copyright law. Origami USA has prepared a detailed analysis of copyright as it relates to the art of paper folding.